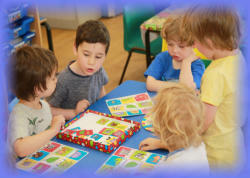 Meadowview Nursery is situated adjacent to Ham lands and the River Thames. It is a purpose-built nursery, designed solely with the aim of creating the safest, cleanest and most stimulating environment possible for your child. Baby Room The Baby Room is designed to be as much like home as possible. It has a low, comfy sofa, soft rugs and mini-chairs and tables. Everything is at the children’s height and within their grasp so they can explore freely and safely. 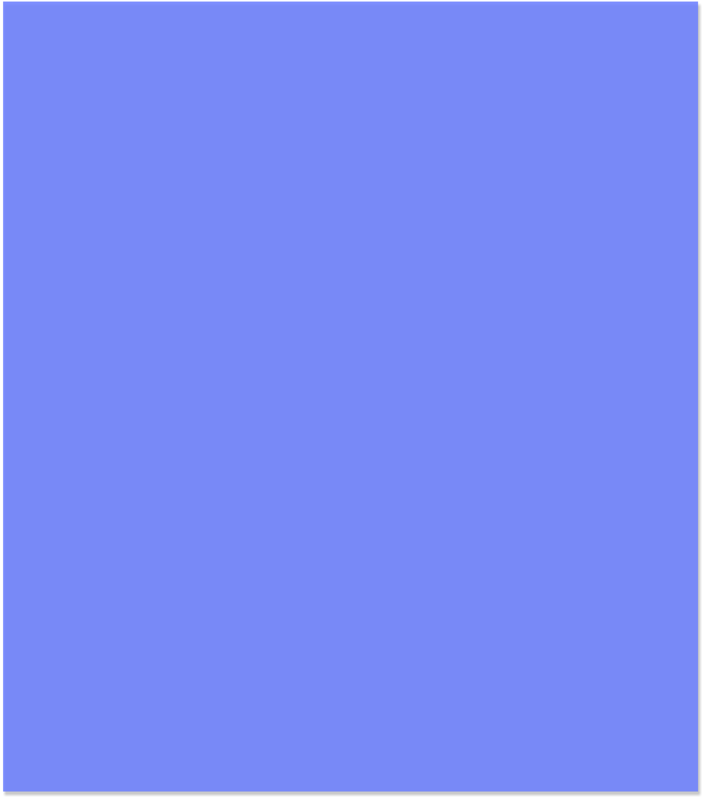 There is also an adjacent Quiet Room to allow your child to sleep or rest when they require it. Toddler Room The Toddler room is designed to stimulate, educate and entertain. 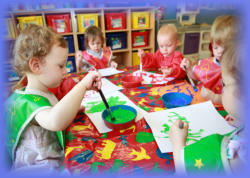 It is equipped with a fantastic array of toys, games, art materials and role-play activities. 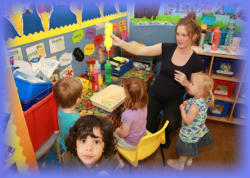 There is also an adjacent Quiet Room to allow your child to sleep or rest when they require it. Pre-School Room The Pre-School area is divided into sub-areas where each child can explore different areas of experience: literacy, numeracy, free expression, small world, technology (ICT) etc. There is also a Quiet corner for the children to rest, relax or read. We also have child sized bathrooms which create the right environment to both help with potty training and maintain good hygiene. Garden Our garden has been fitted with an all-weather safety surface with a separate fenced area for the Babies to play in peace. 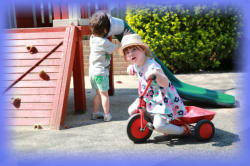 We offer a large selection of toys and games including playhouses, sand & water trays, trikes, scooters, ball games etc. There is also a playhouse equipped with a climbing wall, cabin, slide and sandbox. During summer we encourage the children to engage in gardening activities, including planting salad items, which the Pre-Schoolers will pick, wash and use in their own meals.